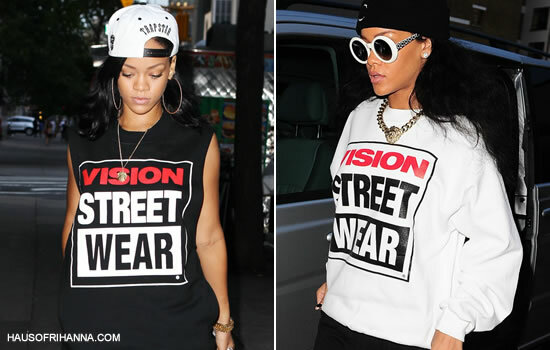 Rihanna was a big fan of Vision Street Wear’s collaboration with Chloë Sevigny and Opening Ceremony. She was first spotted in Vision Street Wear while travelling to L.A and later that year while working in London. The pieces from that collection cost upwards of $100 but now that VSW has launched it’s e-commerce site you can grab cotton tees with the brand’s logo for just $25. Click here to check out the skate brand’s online store.